My family and I had the opportunity to work directly with and over a period of time with Mr. Donald Gray and his company, Edmonton Eviction Services. Don demonstrated the very essence of professionalism, compassion and ethical caliber during the entire time. His attention to detail, quality service and his ability to provide additional insight into timely and effective problem resolution was greatly appreciated and respected. 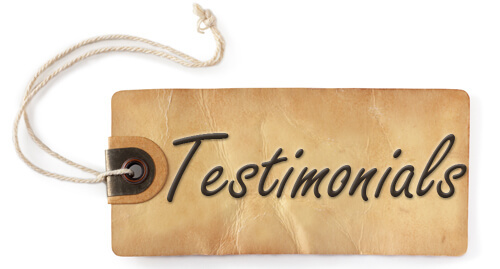 We cannot say enough good things and not a single bad one about our experience with Edmonton Eviction Services and/or the guidance Don provided us throughout this difficult time. Please accept this letter as my highest recommendation for Mr. Donald Gray, eviction specialist and his company, Edmonton Eviction Services. We called up Edmonton Eviction Services and found Don very understanding. We were pleasantly surprised that he took his time and explained everything in detail without rushing. He immediately took the stress away and we were able to focus on more important things in our business. Edmonton Eviction Services will be the first on our list to call for any future Tenant problems. I hired EES to deal with the unpaid issues I have been frustrating with for months. I have to say I am most impressed and satisfied by EES as a service provider who has dealt with the issues promptly and professionally and has helped with quick and clear answers to my questions. It saves a lot of time and really removes a headache for me. I look for committed eviction service, good pricing, and above all reliability, and I am please to say that EES deliver all these, every time. Thanks Don. I had the pleasure of working with Don when we had to remove a tenant from our property. Don was thorough and available every step of the way. With Don’s excellent service and expertise we were able to have the tenant removed in a timely manner which gave us the freedom to move on and get a great new tenant into our property. I highly recommend Don and his services! I am an owner, and I do my own property management. On Sept 21, 2015, I signed a residential rental agreement, with a single male tenant to rent a suite in my duplex. The term of the lease was until June 30, 2016. Two conditions of the agreement were no pets and no smoking. A week after signing the agreement I decided to stop by the suite and see how the new tenant was doing and what the suite looked like with his furniture. Beside the porch were numerous cigarette butts. I knocked on the door and I was allowed to come in. I saw numerous people smoking and, bicycles were in the process of being dismantled in the furnace room. I also saw more than one mattress in the bedroom. Red flags for me, went off immediately. I also received returned cheques from my Bank for the security deposit and first months rent. I called Don at Edmonton Eviction Services. With his assistance, proper paperwork was filled with the Landlord and Tenant Board Court and a hearing was set for late Oct. 2016. The lease was broken and we received a favorable judgement. The Tenant had five days to move out. On move out day, the tenant served me with court notice. The tenant was trying to over-turn judgement previously given to me. Court was for the next day @ 10:00 AM. Don attended with me, and again we received a favorable judgement again, and the tenant was ordered to pay me $500 that day by 4:00 P<. so he could stay in my place for a week, then he had to move out. The tenant was given time by the court to find another place to rent. On moveout day, the Tenant had not moved. He and friends were still occupying my suite. Again, Don was needed with court documents in hand and a sheriff, the tenant was finally convinced to leave. After two court sessions, and the use of a sheriff, I really appreciated being able to use Don and his expertise to evict undesirable tenant.